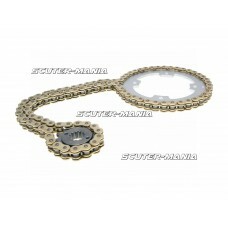 Super-strong chain set for Aprilia RS 50 Estrema Showa and Marzocchi geared mopeds from ‘95-‘98. A c..
Super-strong chain set for Aprilia Tuono 50 geared mopeds from ‘03-‘05. A cost-effective and durable.. 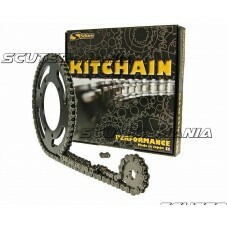 Complete chain Kit suitable for KYMCO KXR and MXU Maxxer with 250-300cc engines. This low-wear chain..